(8 programs on 2 DVDs) Myles and Katharine Weiss encourage Believers to look beyond the troubling prophetic signs of our day and live in growing expectation of our Messiah’s return. The first program reviews the major prophetic signs that point to the return of Yeshua (Jesus). Myles and Katharine lay out an overview of the series and the quickening pace of prophecy. Just as prideful Nimrod built the tower in Babel, Satan attempts to install a man-based government over Earth. Witness the United Nations, which claims to seek world peace but stands against Israel and, thusly, against the God of Israel and the Prince of Peace. The King of the Jews will return in all His glory. Mankind’s only hope lies in humbly accepting Yeshua’s sacrifice on the cross. Only then will we be lifted up to rule with Him. Far from the romantic view of “O Little Town,” the city of Bethlehem today is a site of great tension. The few Arab Christians who remain here are caught between God’s Scriptural covenants with the Jewish people and replacement theologies powered by Islamic doctrine and the Marxist Liberation Theology. Too many people seek peaceful solutions while excluding the Prince of Peace. God calls people of all races to believe in His Son and join the household of faith, God’s household. Guests include Andy Woods, Randall Price, Jim Fletcher, Tim LaHaye, Jimmy DeYoung, and Bill Koenig. We review the history of the Temple Mount from the threshing floor of David’s day up to the present. Some people in Jerusalem actively seek to build the Third Temple, which could be the one desecrated by the antiChrist, ushering in the End Times. We hear from noted archaeological writer Randall Price, radio personality Jeremy Gimpel, and respected Christian newsman Bill Koenig. Myles interviews Rabbi Yehuda Glick, who miraculously survived four point-blank bullet wounds from a terrorist in order to continue to advocate for the rights of Jews and Christians to pray on the Temple Mount. Well-known prophecy teacher Jimmy DeYoung inspires viewers with the reason for his hope, and our friend David Rubin recounts the Bible’s history of Shiloh and his personal brush with Islamic terror: David and his 3-year-old son were miraculously spared after being attacked while driving home through the Biblical heartland. The spread of radical Islam belies the claim that Islam is an ideology of peace. The god of conquest and submission differs greatly from the God of Love who “leaves the 99 to find the one who is lost” (Luke 15:4). This spiritual battle is worrisome; but the Lord wants none to perish (2 Peter 3:9) and will return for His own. We hear from Bill Salus, an expert on the prophetic role of Iran in the coming days. 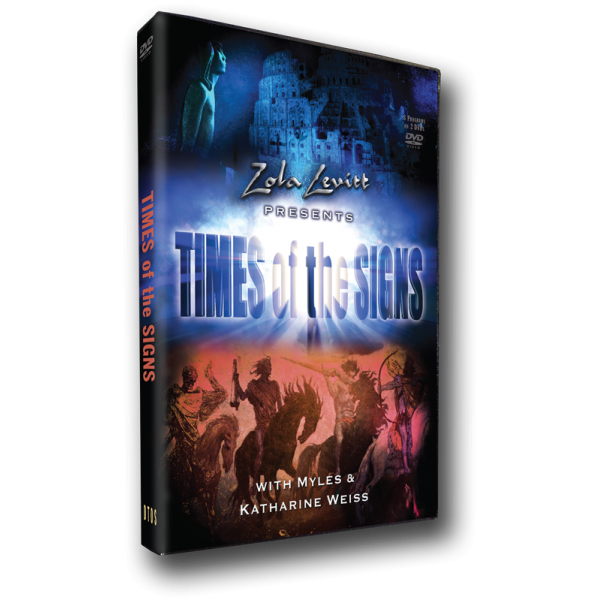 We also see interviews with end-times experts Jim Fletcher and Carl Teichrib. Jerusalem resident Avi Lipkin, who for decades has been teaching the Church about the threat of radical Islam, makes some powerful statements about the days in which we live. Randall Price and Jimmy DeYoung also weigh in on the differences between the god of the Koran and the God of the Bible.